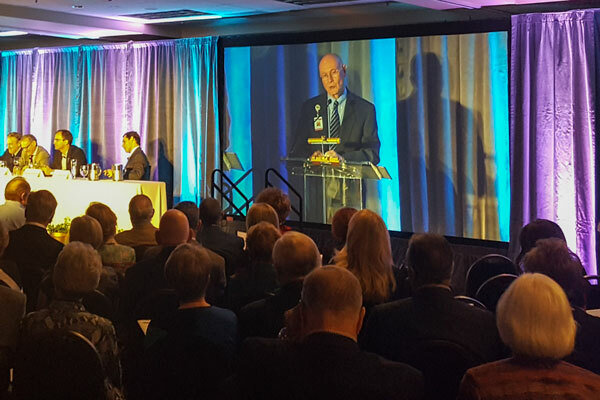 CPN Audio Visual will help you display your message to your audience with projectors, screens, monitors and a variety of video processing effects. We are well equipped to handle an assortment of video delivery methods to help you dazzle your audience. You can use our monitors for presenter confidence, digital signage, or branding. For more elaborate stage settings ask us about using video processing for live video playback, mixed sources, and creative effects. 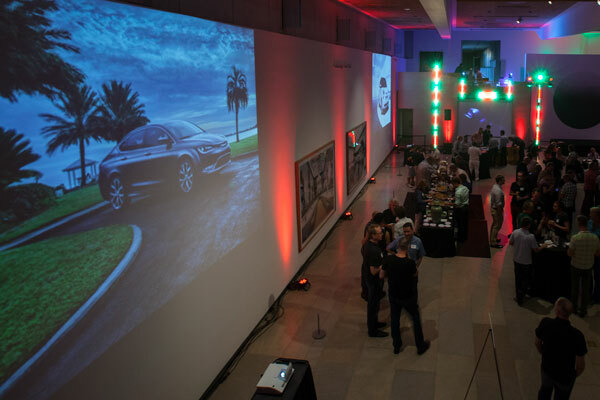 One of the core services CPN offers is projection rental commonly used for business meetings, trade shows, conferences, breakouts, classes, and other presentation events. We carry state of the art projection equipment to meet any budget or quality request. Whether you need a single projector or multiple projectors in creative projection techniques we can help you. 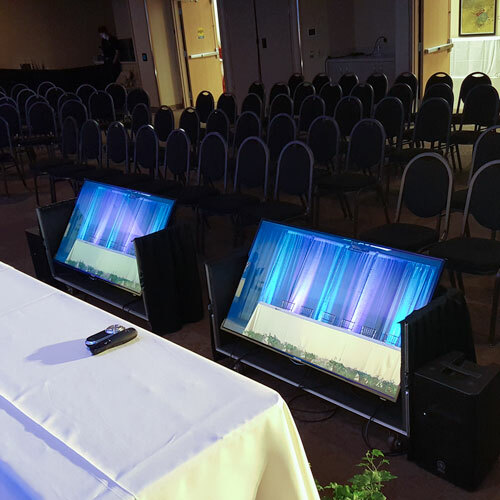 Depending on the ambient brightness, size of your presentation space, or distance from the presentation area, we have the right projector for you. Our most popular projectors the Epson 8000 Lumen can throw a large image on a screen or wall from 3ft away. Most often projectors need to be set up with screens. CPN can provide stand-alone screens in various sizes from small to large and even combine screens for larger audiences. Please call to find out what size will work for your area and application. Confidence monitors are available in a variety of sizes, please call for a detailed list. LED monitors can also serve as digital signage making your event more hi-tech and giving it the edge you need to stand out. 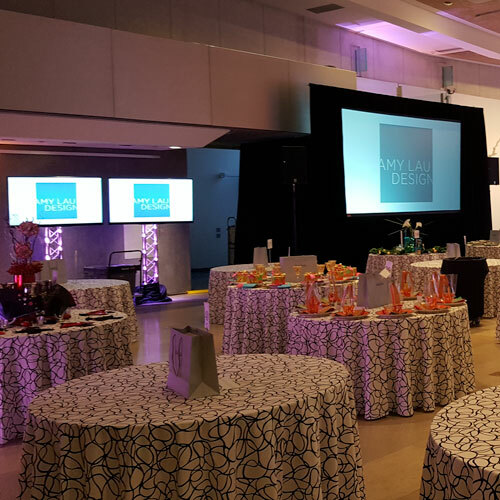 We can project your company logo, phrase or other image anywhere you like with a Gobo to give your event a stylistic flair. 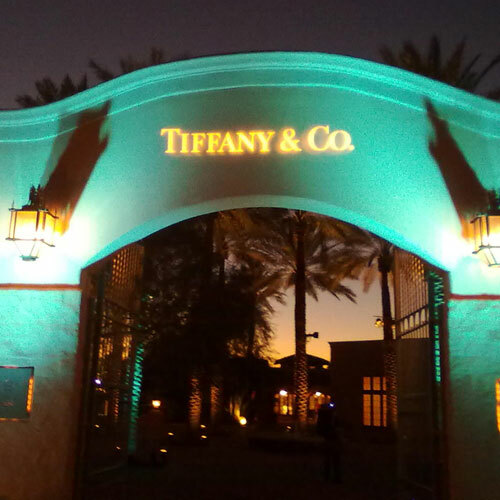 We can provide standard gobo templates or custom make a gobo for your event or company that would feature your logo or a message specific to your event. CPN employs video switchers, distribution amplifiers (for routing and blending of video signals), scan conversion, and color processing. 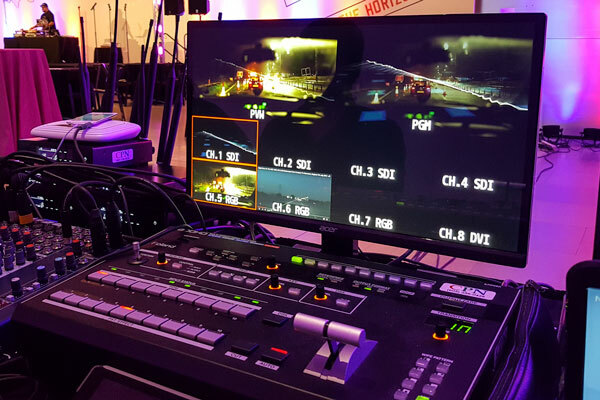 When you are putting on a show with live video feeds we will be there to help you take care of the production and give your audience a seamless fluid viewing and listening experience. Distribution amplifiers allow video to be split and distributed to multiple destinations such as the projection screens the audience sees, monitors on stage, recording devices, or broadcast for TV and web. Video recording services can be provided of your entire event for archive using Blackmagic recorder. Our expert technicians will ensure quality recording of audio and/or video media for your use. We use digital recording devices and can give you the recording on a memory card.